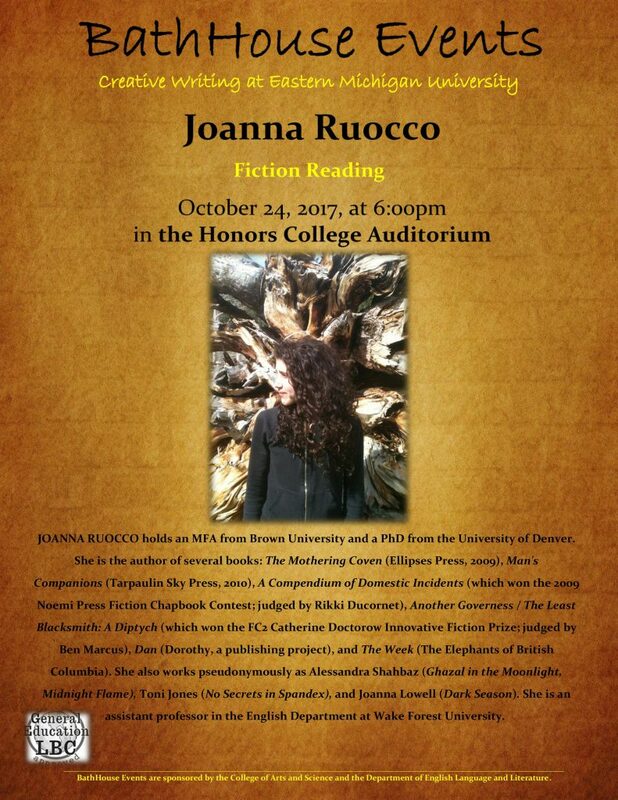 BathHouse Events is pleased to announce our 2nd Fall 2017 BathHouse Event: a Fiction Reading by Joanna Ruocco. Once again, we are open to receiving Reviews about the event. Please submit reviews through our site or by emailing aesshaki@emich.edu.